I am excited that the Alpine Strawberries have germinated. 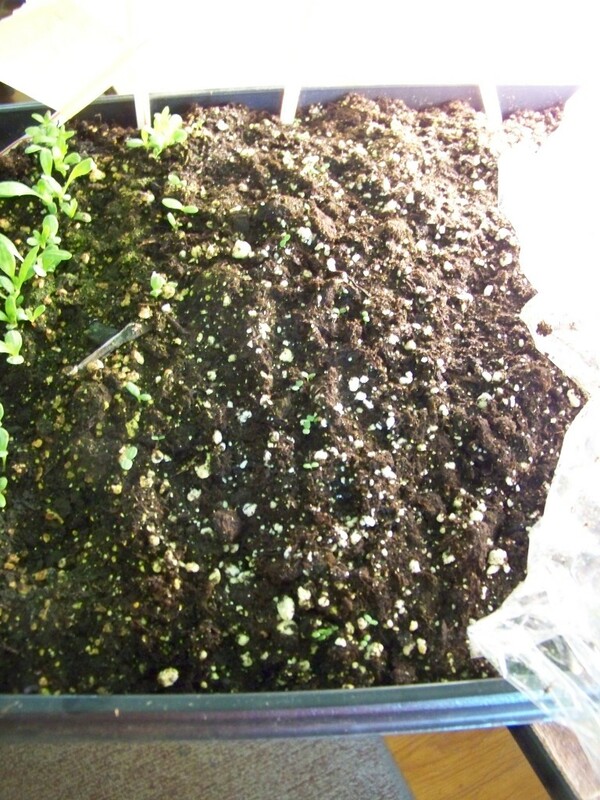 If you squint your eyes, and look closely at the soil next to the already germinated Daisies, you can see tiny little tiny green buds peeking through. Those are the Alpine Strawberries. I have never had success with them before so this is fun. 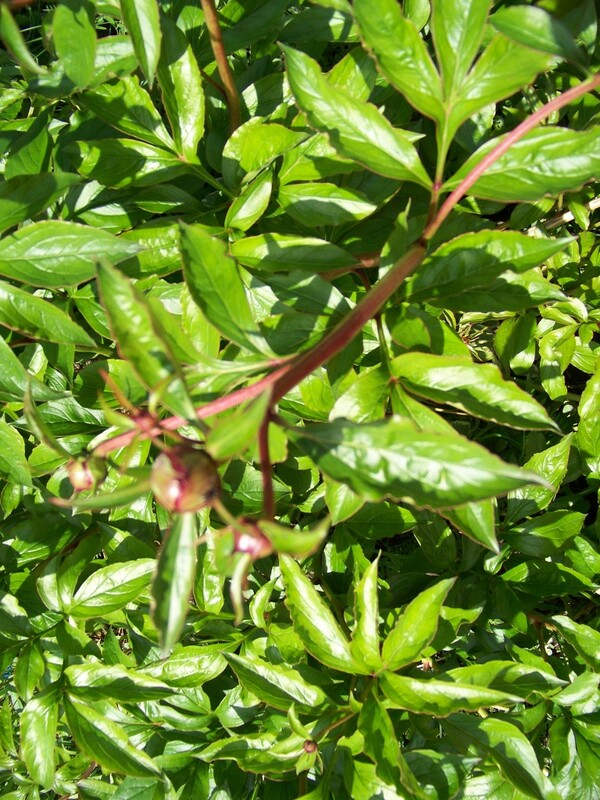 My Peonies have buds and now the ants have come, in case you don’t know, they need ants to bloom. The marching working ants have arrived in small numbers and will soon increase in their army size and blooms will shortly follow. 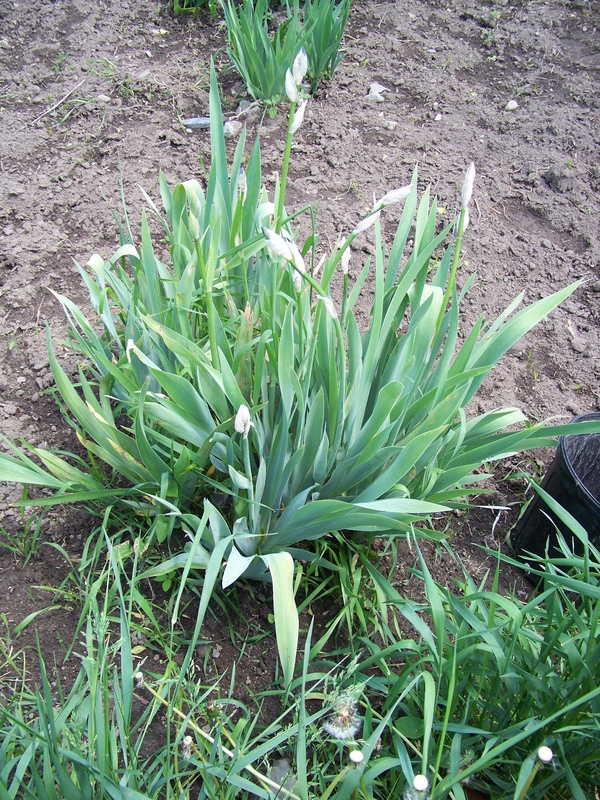 The Iris have lovely buds on tall stems. I have some new Iris so I am waiting to see how their color turns out. 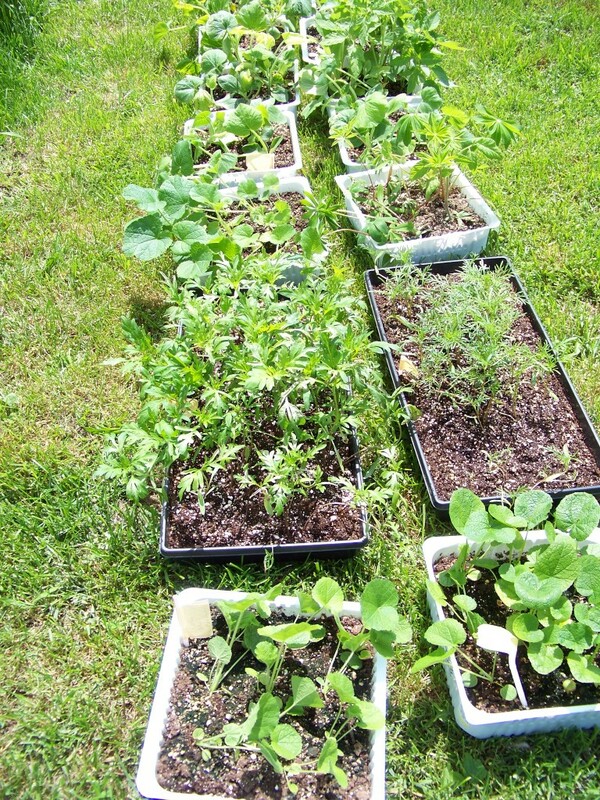 My seedlings are out for Day 3 and so far, everyone his surviving. The Hollyhocks were going to wait for a few more weeks but they have suddenly enjoyed quite a growth spurt so out they came as well.